I went to 2 different Sephoras to track down the Glitter and Sparkle collection but I found it! 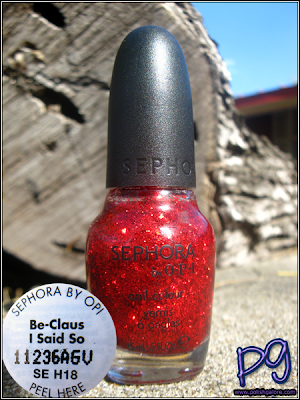 Be-Claus I Said So is a micro and larger hexagonal red glitter in a clear base. I used a base of Duri Rejuvacote, 2 coats of polish and a top of CND Air Dry. I originally tried wearing this color alone (pinkie and ring finger) but decided it needed a good base so I used Cult Nails Quench. Here in the sun you can see that it definitely needs a good red base coat unless you still want to look like you have weird red bumps on your nail. 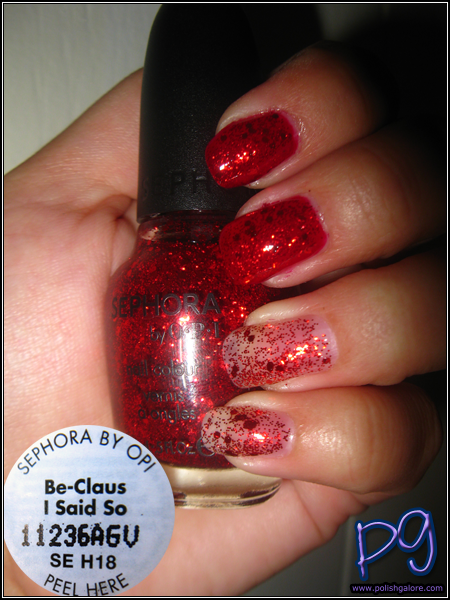 The coverage is more opaque looking because of the microglitter but still not okay for me. 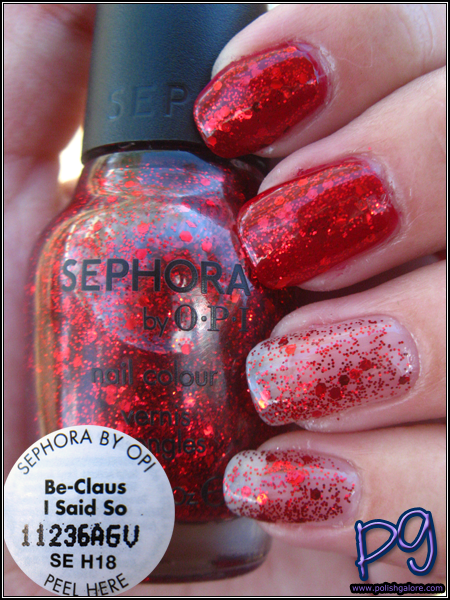 I love how the glitter really glows in a jelly like way over the index and middle fingers. Such a pretty color even if it takes a bit of prep work to get it all pretty. Indoors with the flash really don't do justice for this pretty color. I almost made this my Christmas manicure but at the last minute, I couldn't find where I put this bottle (since I had moved everything around!). Go figure! You can purchase Sephora by OPI in Sephora stores or online here for $9 a bottle. Thank you for showing this, it really helps to know what it looks like alone.